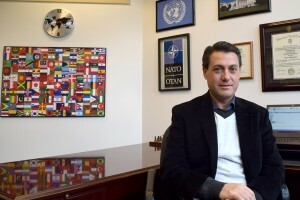 We talked with Dr. Chris Dolan, chair of the History, Politics, and Global Studies Department and professor of politics and global studies, about his field of expertise and what he loves about working at The Valley. How and when did you become interested in your field? 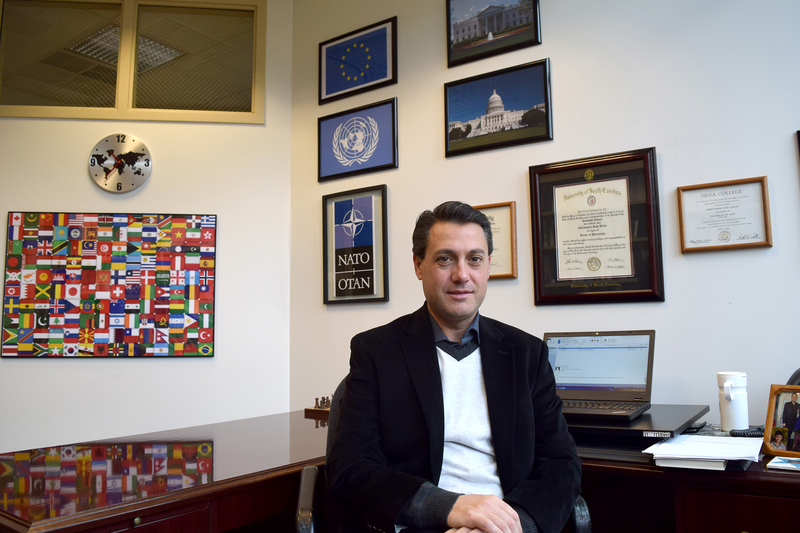 • I became interested in international politics and government in the 8th grade when I started enrolling in Russian language courses and then had the opportunity to travel to Russia to engage in more intensive study of the language. I majored in political science and economics, minored in statistics and Russian in college, and studied abroad. • My current areas of research include international relations, U.S. foreign policy, national security, international political economy and quantitative research methods. I am finishing up a book on American foreign policy during the Obama Administration and will soon start another on the future of NATO in the contemporary European security order. What is the best thing about working at The Valley? • The things I enjoy most about working at The Valley are maintaining an active scholarship agenda, encouraging students to study abroad, working with active and engaged colleagues, participating in campus globalization and internationalization efforts, engaging in collaborative research with students, and, of course, teaching in my areas of interest. What would you tell prospective students who are interested in your field? • One thing I can’t encourage enough for prospective students is to study abroad, study abroad, study abroad. I also would strongly advise students to participate in the European Union Simulation course we offer here at The Valley, complete an internship, participate in collaborative research with a faculty member, and engage in service learning and/or civic action. What do you enjoy as a hobby outside of work? • When I get the chance to do something outside of work, I love to travel, read, study diplomacy and game theory, listen to Pink Floyd and play chess. I also make sure to go for a run every day.